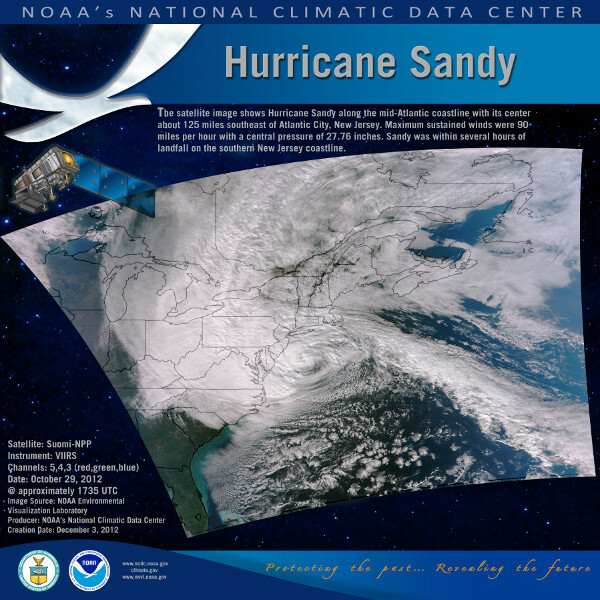 Hurricane Sandy poster. Multi-spectral image from Suomi-NPP shows Hurricane Sandy approaching the New Jersey Coast on October 29, 2012. Poster size is approximately 36"x36". Preview the available hurricane poster. Lineage Statement Multi-spectral hurricane image derived from data archived at NOAA.